Vanevald Haljas is a man next to whom even 100-time donors are mere novices. 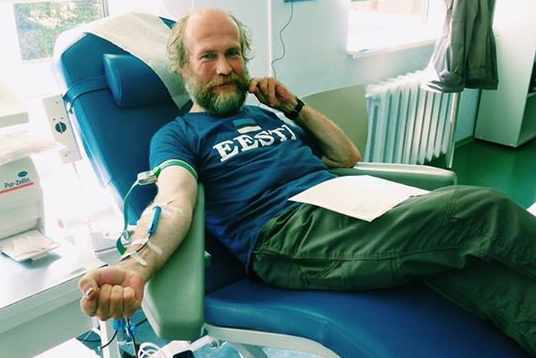 This easy-going hero from the town of Väike-Maarja has managed to make 140 blood donations in his lifetime. That would add to 65 litres of blood. He remains modest when speaking of his deeds. Shaking the hand of the president doesn’t interest him, he just tries to give blood as often as possible. Vanevald’s name graces the first page of the honorary donors’ book at the Medical Centre’s Blood centre as one of the active donors who has given the most blood.